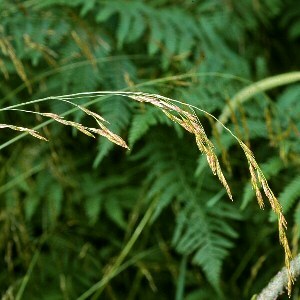 A tall, tufted grass similar to tall fescue (Festuca arundinacea). It grows in meadows, on roadsides, riversides etc. on moist, rich soils. 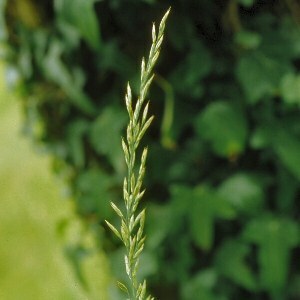 It can hybridize with perennial rye-grass (Lolium perenne) to give the hybrid X Festulolium loliaceum, which is found scattered across Northern Ireland. All names: Festuca pratensis Hudson; Festuca elatior auct. non L.